Chinese scientists have implanted human brain genes into monkeys, taking another step into what has been described as the “ethical nightmare” realm of gene-editing. In a study published last month in Beijing’s National Science Review, the journal of the state-sponsored Chinese Academy of Science, scientists inserted the human gene, MCPH1, which has been linked to brain development, into 11 monkey embryos via a virus which carried the gene into the monkeys’ brains. Of the 11 rhesus macaque monkeys were used in the experiment, six of them died. Experiments were conducted on the remaining five. 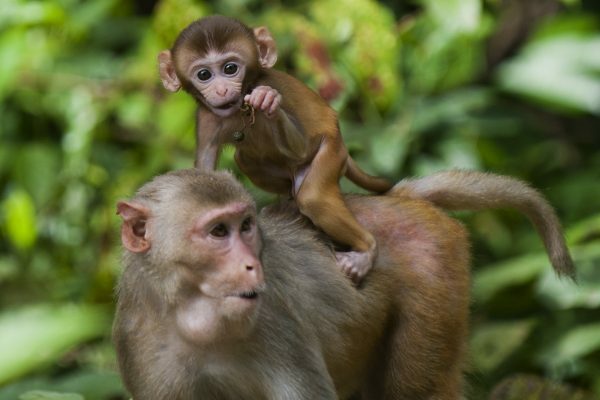 “The use of transgenic monkeys to study human genes linked to brain evolution is a very risky road to take,” James Sikela, a geneticist who works with primates at the University of Colorado, told the MIT Technology Review. Science Abstract or Abstract Science? The experiment, according to the scientific team in China, was an attempt to understand the evolutionary process which led to human intelligence. The researchers believe that the MCPH1 gene may provide part of the answer. The scientists conducted a series of tests on the transgenic monkeys, including MRI scans and memory tests, which showed that the monkeys had better short-term memory and faster reaction times than the control group. Their brains also took longer to develop, similar to that what occurs in humans. Though the Chinese team says their findings are significant, other scientists remain highly skeptical. Martin Styner, a computer scientist at the University of North Carolina, who is listed as a co-author in the study, told the MIT Technology Review that he was considering pulling his name from the paper. Styner’s role was limited to teaching Chinese students how to use MRI data to gather data about the volume of the brain, he said. “When we do experiments, we have to have a good understanding of what we are trying to learn, to help society, and that is not the case here.” Styner told the MIT Technology Review. “I don’t think that is a good direction. Barbara J. King, emeritus professor of anthropology at the College of William and Mary, in an email interview with Vox, said the justification for the experiment was misguided. 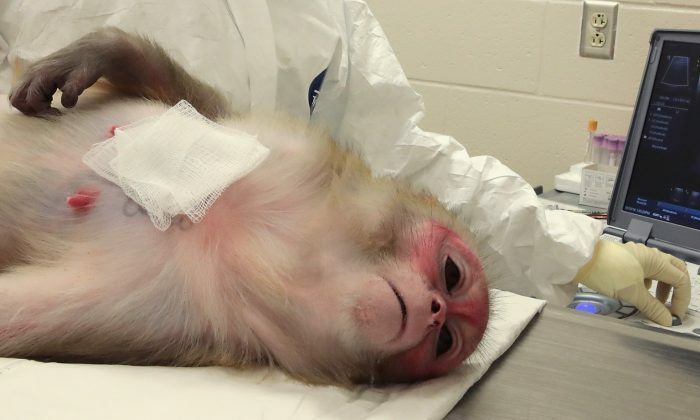 “More of the genetically altered monkeys — six — died than lived, so right off the bat we see that the procedure is often lethal,” King said. This kind of experiment is “an ethical nightmare,” he added. “The costs are terribly high and the benefits to humanity approach zero; there’s growing recognition that animal models simply don’t work well to study complex human processes,” King said. China has been at the vanguard of questionable scientific advances. In January, Chinese scientists intentionally cloned monkeys with genes that gave them debilitating congenital diseases. The stated intention of these modifications was to use these monkeys as models to create different gene-based diseases. Scientists modified their genes in a way to disturb the monkey’s natural sleep cycles, or circadian rhythms. The monkeys are expected to have a life fraught with anxiety, depression, and schizophrenia. 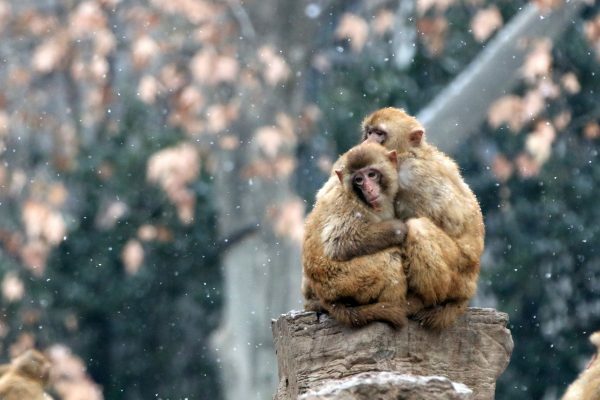 In China, a massive monkey breeding industry has grown in recent years to feed the increasing demand from scientists for test subjects, according to The Atlantic. These facilities breed macaque monkeys for use in domestic research, or mostly for export to researchers abroad. The price for a single monkey is much lower in China too—only $1,500, as opposed to $6,000 in the United States. The Atlantic reported that many American scientists fly to China to perform experiments that are ethically unacceptable in the United States. Meanwhile, the Chinese regime has also increased funding for such research projects over the years. Last November, a Chinese researcher created shockwaves in the scientific community after he claimed to have altered the DNA of a set of human twin girls, by editing the girls’ embryonic genes to supposedly increase their immunity to the HIV virus. Though the scientist, He Jiankui, was publicly scolded and fired from his university position, others suspected that he may have received state backing.